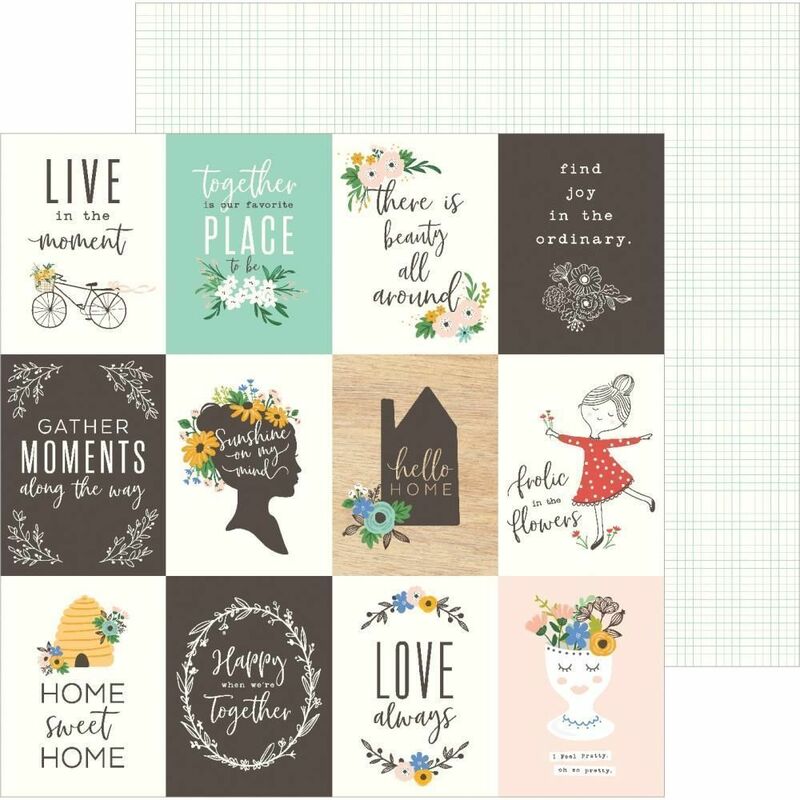 This 12x12 double sided Designer Paper has 3"x4" Journaling Cards on the frontside (perfect for cardmaking). The reverse side has a Grid Pattern. Part of the 'Along the Way' Collection by Jen Hadfield / American Crafts. Look for coordinating Embellishments and Designer Papers.